Just How Good Is Morphe Make-up? You only need to watch a couple of make-up tutorials to see just how highly rated Morphe Palettes are. They are HOT and are so affordable. If you are new to Morphe, then read on to find out everything you need to know about the quality, budget brand. What an absolute cracker of an offer from Morphe. Until 14th April (or sold out), you can purchase two palettes totalling 60 shades, for just £20. You'd pay £42 if you bought these separately, so you're saving £22. The two palettes you get are 35M Boss Mood Artistry Palette and the 25D Oh Boy Artistry Palette. Delivery is free on this offer too, so don't hang about if you want it. James Charles is big news, paired with Morphe and you have one heck of an explosion. Birmingham was crazy when JC opened the new Morphe store. The Sister Collection* is very sought after, and only two items are currently in stock on the Morphe website. Like a good smokey eye look? The only thing you need in life is the 35K Good Karma Eye Shadow Palette* at just £23. An assortment of 35 shades with a mixture of matte and satin finishes. Morphe's blush palettes are a good investment too, at just £12. You get a trio of shades with a mixture of matte and shimmer included. TheBlushing Babes* is ideal to see you through every season of the year. Morphe Palettes have a cult following and it's easy to see why... the Palettes are BIG, the Eyeshadows are incredibly pigmented and easy to blend, then there's the low price tag. No woman should be without a Morphe Palette! Watch out for those sought after collaboration palettes too! No woman should be without a palette with a bit of colour. It's amazing what a pop of pink can do to eye colour. If you like the less garish looks then you'll be more than safe with the 25C Hey Girl Hey Eyeshadow Palette* £18 from Cult Beauty. If you want a palette that'll take you from daytime looks to those dramatic smokes, then the 25D Oh Boy Eyeshadow Palette* is the one for you. Grab it for just £19 from Cult Beauty. The Morphe 35O Color Nature Glow Palette is a bestseller for the budget beauty brand. It contains 35 wearable shades of Eyeshadow and is popular for a reason. You can create everyday looks, as well as hot evening smoky eyes, with the buttery pressed powders. Available at Morphe* for £23. 35O2 Second Nature*for just £23 is also available! It's not often you see a Morphe Sale, because let's face it, the stuff is cheap enough. As you can imagine, when there is one stock flies off those virtual shelves. Sign up to the Morphe Newsletter to be one of the first to access the Sales when they start. If there's one brush you need to buy from Morphe it's thisElite Blending Fluff Brush (E30)*for that seamless eye look. It really buffs away any harsh lines and is only £8 from Cult Beauty. Keep those lip lines slick with the M170-08 Lip Brush*. It's priced at just £4, and is a great multi-tool for lining, filling and glossing your kisser. It's amazing how many face brushes actually lift your base off, instead of giving you the flawless finish you crave. The Y3 Pro Pointed Powder Brush* from Morphe will not let you down. It's light and will let the product work for you. Just £15 direct from Morphe. The Babes Faves Face Brush Set* contains £115 worth of make-up tools, but is priced at only £62. It contains everything you need to make yourself look your best. 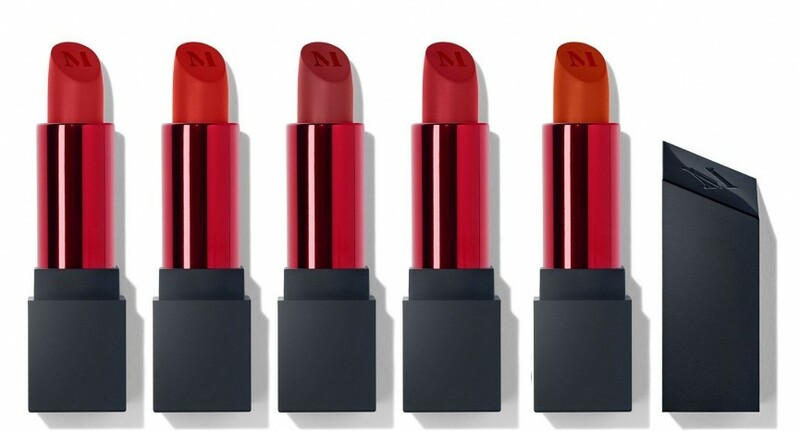 It's one of the most coveted Red Lipstick shades on the market - Morphe Hot Shot comes in their Matte Liquid Lipstick formula, and suit EVERYBODY. It is always out of stock at Beauty Bay, so your best bet is to get it from Morphe themselves. Morphe isn't sold in many places in the UK, and unfortunately Beauty Bay are no longer a stockist. 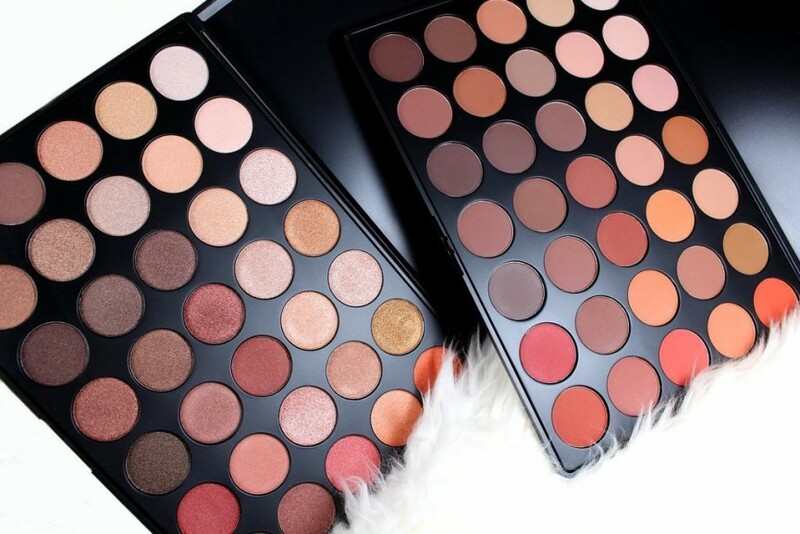 You can find Morphe at Cult Beauty and Look Fantastic though. Are there Morphe Stores in the UK? After years of selling like "hot cakes" on the likes of Look Fantastic and Cult Beauty, Morphe have recently opened a store in Birmingham's Bullring, and it's the first one to open outside London. As well as Morphe Make-up, they may well stock Jeffree Star too, just like their US stores. We can wish! I’ve got this but the matte version! should see the lip kits!